The Association of Certified Fraud Examiners (ACFE) is the world’s largest anti-fraud organization and the premier provider of anti-fraud training and education. With more than 65,000 members, the ACFE is reducing the incidence of fraud and white-collar crime worldwide and inspiring public confidence in the integrity and objectivity within the profession. Members of the ACFE include CPAs, auditors, lawyers, investigators, law enforcement officers, security professionals, executives, managers and anyone whose job involves preventing, detecting or deterring fraud. The ACFE supports members and the anti-fraud profession by providing conferences, seminars and other training events year-round, while also offering self-study and online learning opportunities, manuals, software and other resources for fighting fraud. 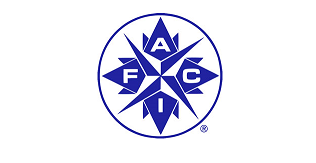 Established in 1968, IAFCI (International Association of Financial Crimes Investigators) is a non-profit International organization comprised of federal, state, and local law enforcement agencies, and corporations which are dedicated to fraud prevention, detection, investigation and prosecution of individuals and organized criminal enterprises engaged in financial and cyber-related criminal activities. With chapters located throughout the United States, Canada, Central and South America, Europe, Africa, and Asia, members work diligently to eradicate fraud worldwide and to promote a complex exchange of criminal intelligence. Founded in 1999, the Identity Theft Resource Center® (ITRC) is a nationally recognized non-profit organization which provides victim assistance and consumer education through its toll-free call center, website and highly visible social media efforts. It is the mission of the ITRC to: provide best-in-class victim assistance at no charge to consumers throughout the United States; educate consumers, corporations, government agencies, and other organizations on best practices for fraud and identity theft detection, reduction and mitigation; and, serve as a relevant national resource on consumer issues related to cybersecurity, data breaches, social media, fraud, scams, and other issues. Victims may contact the ITRC at 888-400-5530. 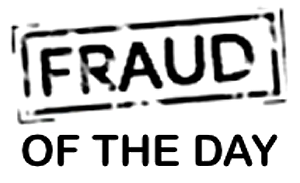 Founded in 1985 by several private health insurers and federal and state government officials, the National Health Care Anti-Fraud Association is the leading national organization focused exclusively on the fight against health care fraud. They are a private-public partnership – our members comprise more than 100 private health insurers and those public-sector law enforcement and regulatory agencies having jurisdiction over health care fraud committed against both private payers and public programs. The University of Texas at Austin established the Center for Identity to serve as a center of excellence for identity management, privacy, and security. Their mission is to deliver high-quality research and education and offer solutions for the future. Funded by a partnership with the Texas Legislature, The Center for Identity has launched IDWise, a resource center for the public on identity theft, fraud, and privacy. IDWise provides research, educational materials, workshops, and outreach to the public, giving clear and accessible resources to empower citizens—both online and offline—to be better informed and make smarter choices to protect their personal information. Watchdog.org provides fresh, original, hard-hitting news stories spotlighting waste, fraud and misuse of taxpayer dollars by state and local governments. American citizens own their government. Watchdog.org makes sure citizens remain informed about it.